After working nearly 9 hours last Saturday, I feel justified in saying that I earned this beer. At least I got to do it from home I guess. Only once did I stare at my computer with that Geto Boys track in my head, though between the can art and viewing that clip I really feel the need to watch Office Space again. 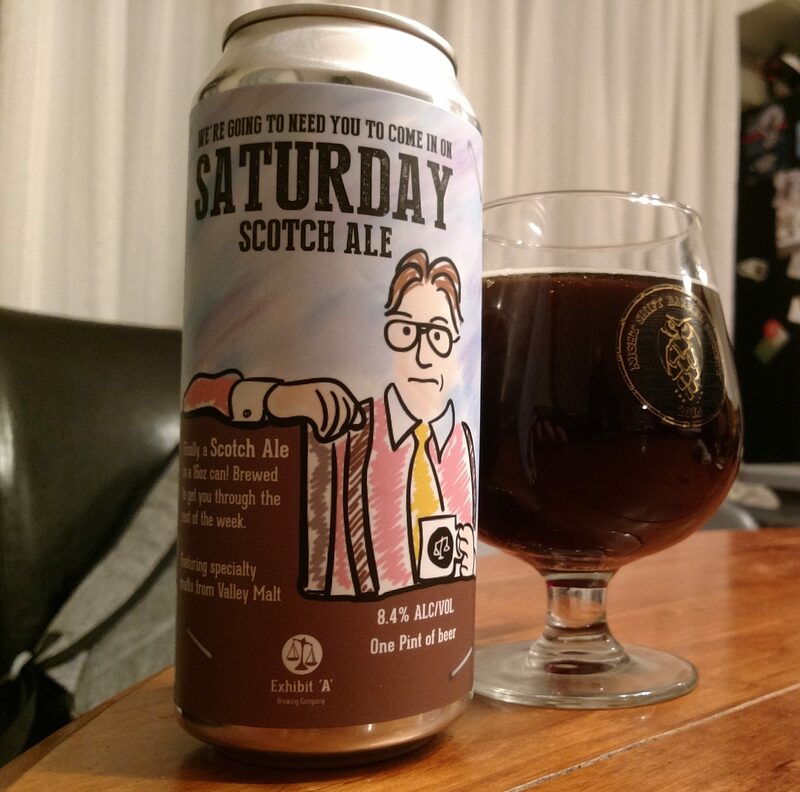 Description: A scotch ale the brewers describe as sweet and rich, with just a touch of bitterness for balance. Appropriately enough I picked this up at my new favorite Downtown Boston spot during my lunch break. Appearance: Dark copper colored body with a thin off-white lacing across the top. Smell: Sweet mix of malt and dark fruit. Taste: Sweetness abounded upfront in the form of toffee, dark fruits (plum and raisin), and brown sugar. Some grainy malts picked up towards the middle while the finish featured an earthy bitterness and just a little bit of alcohol warmth on the very end. Mouthfeel: Medium-plus body with a relatively light amount of carbonation. Hype: None really, but it did have an awesome name! I was also in no mood to be disappointed by the time I was able to get around to drinking this. Overall: I am happy to report that I enjoyed this. It was a nice beer to sip at while unwinding from a hectic day. The finish was a bit different than what I typically expect from the style, but all-in-all I was quite pleased by the drinking experience. I seem to have an unofficial theme of local stouts going on this month. It wasn’t planned, but I sure am enjoying it. Description: An imperial stout brewed with locally sourced malts and fresh roasted coffee. Check out the brewery website for a bit more information. Appearance: Dark, black body with thin, foamy tan head. Smell: Slightly sweet with hints of lightly roasted coffee. Taste: Very smooth, creamy malts mixed with subtle notes of light roast and sweetness. The finish offered a hint of espresso mixed with just a touch of heat. Mouthfeel: More than medium bodied but not quite thick. Minimal carbonation. 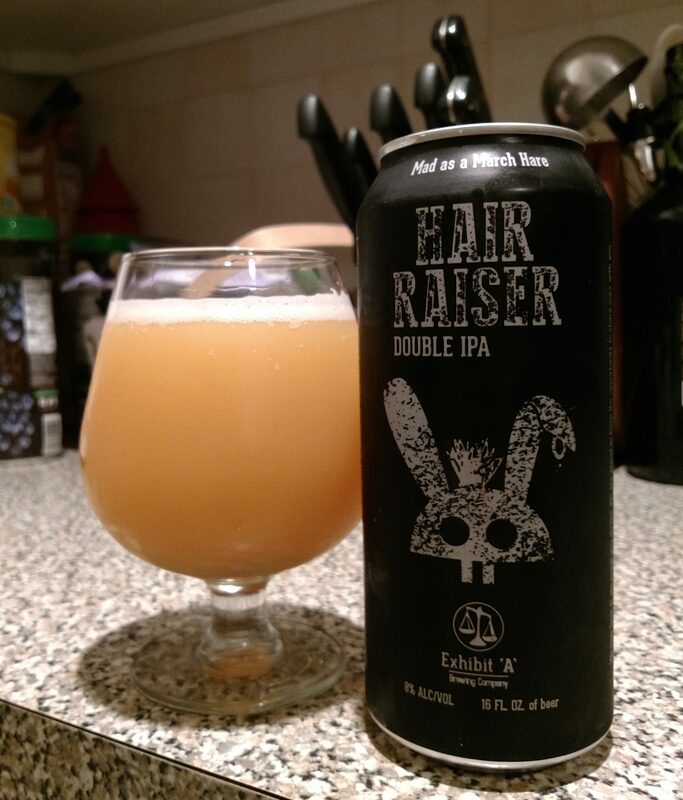 Hype: I really enjoyed my last two offerings from this brewery and was hoping to keep the streak alive while branching out from their double IPAs. Overall: It was good, but ultimately not really something that stood out for me. I think it was almost too smooth for what it was and could have done with a slightly bolder flavor and definitely a bit thicker mouthfeel. Wasn’t bad, but got overshadowed by some of the other beers I’ve had recently. Having had one as a childhood pet, I have a special love of black cats. She was named Eddie, after Edgar Allan Poe, and that cat and I had a real affinity for one another; sharing in common a healthy appetite and more than a few personality quirks. She was never really comfortable around a majority of the people she encountered, though I rather quickly became one of her favorite humans. Black cats also happen to be a popular Halloween image, so picking up a can of this beer was an easy choice. 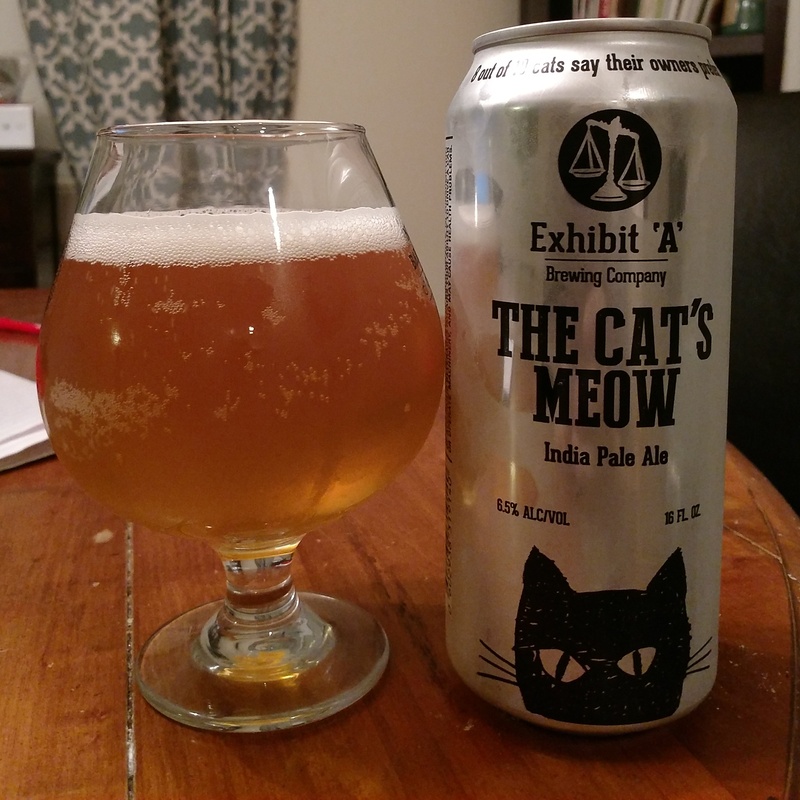 Description: Labeled “catnip for humans,” this IPA was brewed with Citra, Mosaic, and El Dorado hops. You can check out the website for more about this beer and all matters related to the brewery. Oddly enough, this was another brew canned on 09/18 – the day of my wedding anniversary. Considering how much my wife and I love Halloween, this must be some kind of sign. Appearance: It had a cloudy, just barely translucent golden-yellow/pale orange body topped by a thin layer of white foam. Smell: Fruity, citrus sweetness with a piney bitterness on the backend. Taste: Started out with a light, slightly sweet malt presence upfront. That was followed by a mild blend of fruits featuring various tropicals, orange, tangerine, and grapefruit. A subtle haze of hops came over the beer on the finish, bringing in a mix of resinous pine and floral bitterness. Mouthfeel: Medium bodied with a decidedly creamy feel to it. Less than moderate level of carbonation. Hype: I’ve been pretty eager to check out what this brewery has to offer for some time now, but for whatever reason haven’t done so until now. Overall: I liked this a lot. Subtle yet flavorful with a nice balance of tastes, this made for a very nice introduction to the brewery.